Look at the picture above. When Margaret Thatcher saw it she allegedly exclaimed “Urgh, its two old men holding hands.” But it is much more than that. The picture was taken on September 22nd 1984 at a memorial to commemorate the 70th anniversary of the battle of Verdun in the First World War. 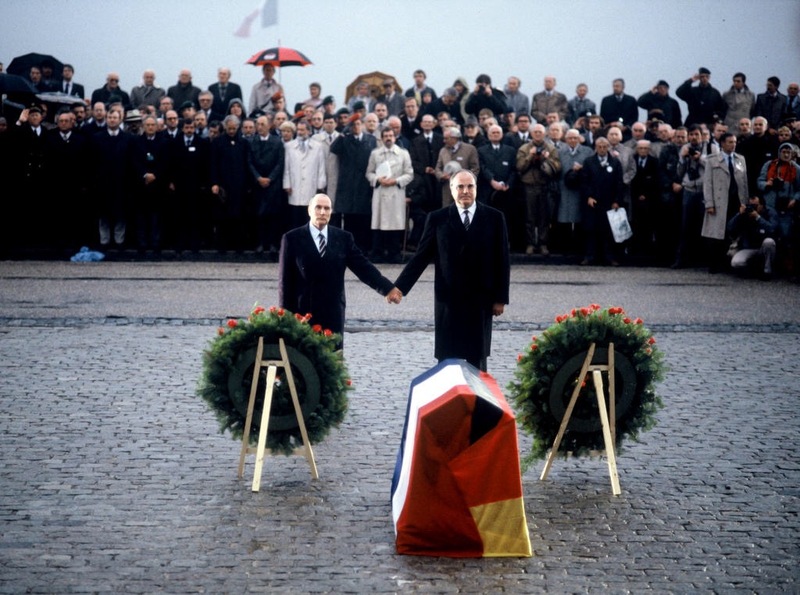 On the left is President Francois Mitterrand of France. On the right is Chancellor Helmut Kohl of Germany, who died recently at the age of 87. The reason behind these ‘two old men holding hands’ is something that the UK delegation to Brussels to negotiate Brexit need to understand, or they will simply fail. They are up against people who believe in the European Union in ways Britons have never been convinced to believe, and therefore to achieve what they want ‘in the best interests of Britain’ their concessions have to take into account what the EU means to the Continent. To understand this, we should go back to the Schuman declaration, a document created in 1950 by French Foreign Minister Robert Schumann and inspired by one of the ‘godfathers’ of European integration, Jean Monnet. At a press conference to announce the creation of the European Coal and Steel Community, the first forerunner of the European Union, Schuman explained that combining coal and steel production under a central authority would, because Germany wouldn’t be able to re-arm in secret, make ‘war between France and Germany materially impossible’. Put into a context of a recent history during which every generation of Frenchman had seen their country invaded with Germany this was quite an inspiring vision. Fast forward to 1984, and the picture above of Francois Mitterrand and Helmut Kohl. That picture sums up the deep meaning of the European Union to those two countries. It says everything about how much almost forty years without war means to a Continent that had been so frequently ravaged by it. Fast forward again to May 2004, and the entrance into the European Union of eight countries from Eastern Europe that had previously been part of the Communist Soviet Union. When that fell apart, chaos might have ensued. If you want to know what happens when a controlling State apparatus, for better or worse, disappears, look at Iraq, and look at Syria. Now look back at the links of Poland, Lithuania, Slovenia and eventually three years later Bulgaria and Romania. A group of countries to their West opened their doors and offered them an alternative based upon shared democratic values and economic prosperity. It hasn’t been perfect, no, but it is so much better than the alternative could have been. Britain has just never quite understood why our Continental friends have been so willing to pool their sovereignty and integrate so enthusiastically. It is not just pragmatic, it is not just about how many cars the Germans can sell to others, or wine the Italians can trade. It is about ensuring that it is just about impossible for these countries with little in terms of shared language or culture to descend into fatal conflict again. If Theresa May, David Davis and anyone else thinks that the negotiations they are about to enter into are about trade and economics, then they are doomed to fail, and we will all lose out.